We've all experienced footpaths shown on the map that don't exist on the ground, but lately I've been coming across ones that are not on the map. One in Buckinghamshire has caused me confusion a couple of times recently, when I've been heading south down a bridleway intending to turn right, westwards, at a junction in a wood. But before I've got that far there is a footpath sign, the usual yellow plastic disk on a 1.5m post, and a narrow muddy path disappearing westwards into the wood. My screencap below shows the point. Is this where I should be turning? No, because there is a crop field to one side, I am not in the wood. There is no such footpath shown on the map, but you can see its course if you look at the Bing Maps aerial view in the second screencap, on which the other paths in the area show clearly. Another one I encountered a few weeks ago is in the same general area. 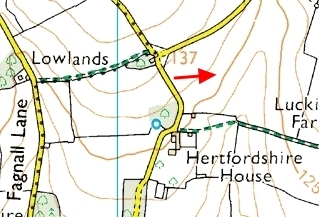 I walked eastwards from where it says Lowlands on the 3rd screencap and on reaching the junction of lanes I headed south to the eastwards path at Hertfordshire House (don't get confused, it is in Bucks.) But before I reached it there was a footpath sign and a wooden stile with a faintly trod way going up the pasture, where I've marked it with an arrow. But it's not on the map! I have a paper OS map, MemoryMap and Bing OS maps available yet none of them show these paths. Am I alone in finding this? We've encountered just a handful of these, the usual explanation is that the access point to the footpath has been moved. In most cases there was a brief notice pinned to the original fence/post saying something like 'Footpath 100 yds ->' thataway. We didn't bother to check the definitive maps to see if the move was official or not. Just wondering if there was an official diversion at some time in the past and the signs just got forgotten and left in place. I don't think a path has been moved or diverted in either case because the original paths are still as they were*. The signposts and the stile are in good-as-new condition, as opposed to being old and worn. *Although the footpath I took in the second example has been moved, it now follows the boundary line to the north of Hertfordshire House, which is being redeveloped into luxury homes. Can you give the grid reference of this screen cap.? Taken from MemoryMap, the grid ref for the footpath signpost and stile by the lane in that screencap is SU94149440. In the first screencap the end of the path and the footpath signpost is at SU9500956. EDIT: Wondering how you found it from just that little portion of map with no other information! 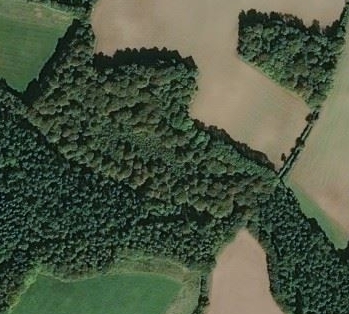 I just looked on WalkLakes, which likewise doesn't show the path from the lane in 1:25k view. 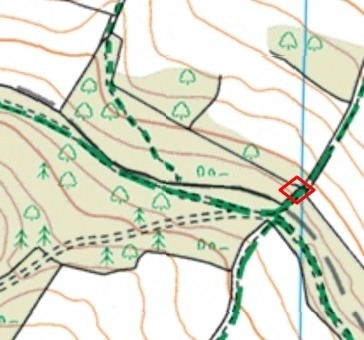 However, in the 1:50k it does show a path but it runs southwards parallel with the lane, whereas the sign I saw pointed roughly eastwards up the slope (see the contour lines) with a corresponding faint trod way on the grass.